'Lincoln the Man' is the most important statue on the tour and is a masterpiece of Augustus Saint Gaudens, the ranking American sculptor of his era. The bronze of the French explorer La Salle is the most significant to Chicago's history. 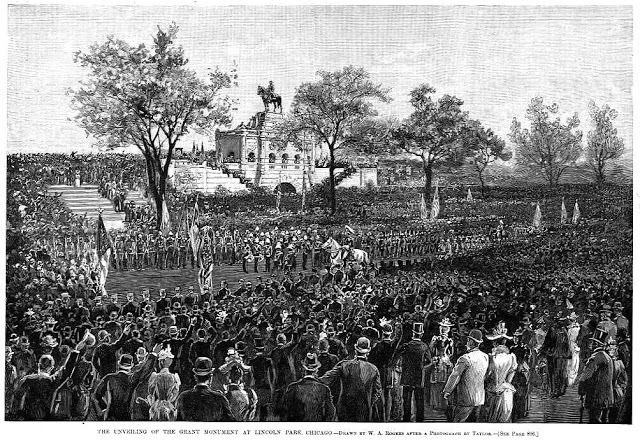 At it's unveiling in 1889, La Salle was celebrated as the man "to whose geographical discoveries American civilization owes a heavy debt." Mayor Carter Harrison and much more! 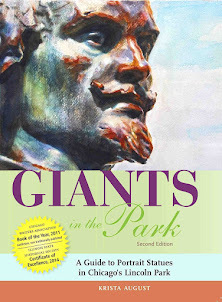 Hi Krista, I just finished reading Giants in the Park, and I wanted to pass along my praise. The book struck an excellent balance between being well-researched, thorough, concise, and entertaining. 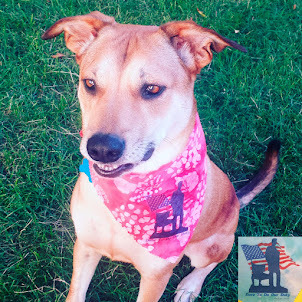 In each chapter, you did a really good job of selecting material that would interest readers. I really enjoyed reading it. 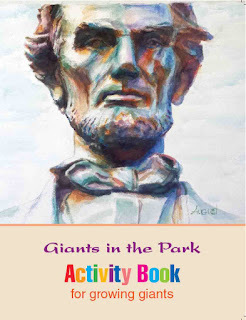 Giants in the Park ACTIVITY BOOK is designed to engage students with coloring pages, primary source material, text highlighting notable history, multidisciplinary activities and 36 mini statue and park-themed stickers. The statues and their histories determined the learning opportunities, so the exercises vary with respect to age level. ... bought for my two nieces that live in Chicago and they loved it. 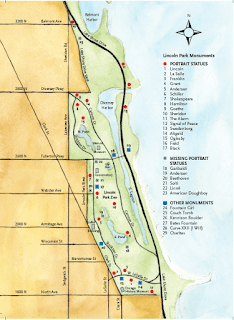 Very interesting, creative and educational way to see Chicago from a very unique perspective. Highly recommend. A beautifully written, engaging work book for young students. A must buy! ... fun, and engaging workbook for young students. It is also a "Reader's Digest" version for adults!